You made the crater too big. Use reference images for this type of stuff. 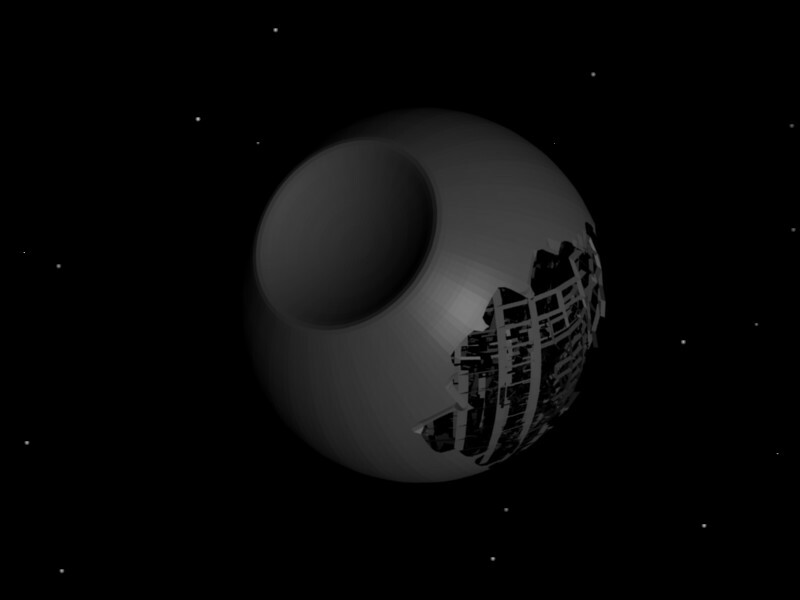 Ahh nostalgia attak , 30 years on ILM spacecraft still look good. 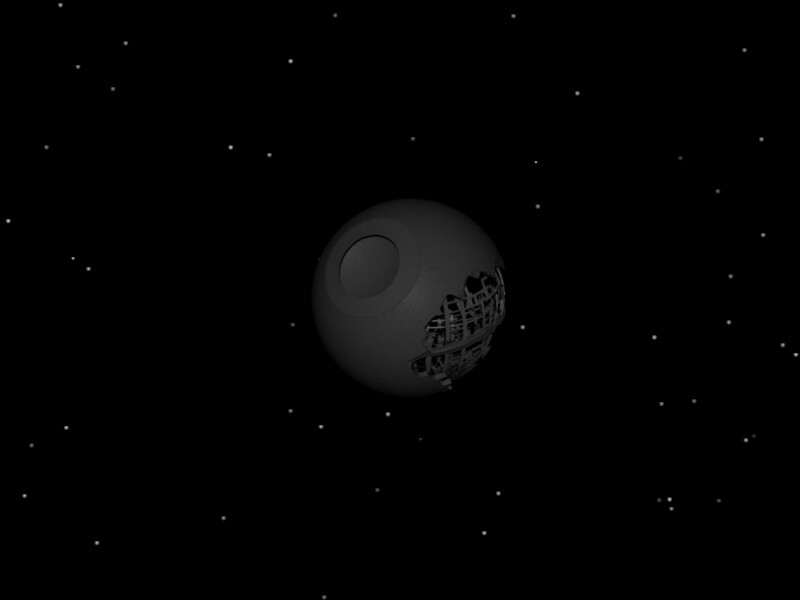 This looks more like a WIP than a finished piece… but then again it says that it is a 5 minute Death Star. Try some textures and make the construction part a little more detaild. Just my 2cts. well. i was planning it to be finised but then someone told me to edit it.